As usual, here comes Part 2 of July’s empties! I like to cut my empties post into 2 posts because they’re much easier to do up. I try to comment on how much I like the products since I have used them up so I have a pretty good idea; sometimes it’s also for my own reference – so I can check back about how much I liked something and if I should repurchase them. So every empties post is like doing 10-15 mini reviews – which is not that easy I tell ya! Anyway, let’s get cracking on! Another month of massive empties! I thought using up so much items consistently every month would make a dent in my stash… but somehow that doesn’t seem the be the case! My recent subscription mystery box addiction has made things worse! On the bright side, because of the pile of growing beauty products I am now really good about doing certain beauty regimes that I never used to care about – like taking my skincare down to my décolletage, using moisturizer on my body everyday or using a hair mask weekly. So what have I used up this month? Yes, it’s finally time to review the very famous Bioderma Sensibio H2O. I’ve actually used this quite a lot but had reserved my review for this till after I’ve reviewed a few other cleansing waters first. I find that due to its popularity, it’s easier to have tried a handful of similar products for comparison. Sold at S$39.90 for the large 500ml bottle in Guardian and Watsons, it seems expensive but on a per ml basis, it’s on par with other cleansing waters. The benchmark micelle solution that cleanses and removes make-up from sensitive skin daily. Specially formulated for sensitive, normal to dry skins, the solution gently cleanses face and eyes. It removes water-resistant make-up. The micelles contained in its formula effectively micro-emulsify impurities while maintaining the skin’s balance. I bought the largest size, which comes in a clear light plastic bottle with a flip top cap. To use, I have to flip it over to pour some out on cotton pads. It’s very simple – but I would really have preferred it had a pump. The colour, texture and consistency is just like water and there is no scent. In terms of efficacy, I think it fared pretty well. It removes face makeup very easily without having to rub or tug on the skin, and can remove most non-waterproof eye makeup by soaking the cotton pad and pressing it onto the eye for a few seconds before wiping it off. However, this is not as effective at removing water resistant eye makeup as claimed. Maybe my mascara and eyeliner are stronger than others who tried this, but this definitely could not clean them off and there were obvious remnants after wiping my eye with this several times. It does work with freshly applied eyeliners, so if you’ve made a mistake, just dip a cotton bud with this and wipe it off. But day-old mascara and eyeliners? No. This did not irritate my skin and feels refreshing. However, compared to my current favourite cleansing water – the Bifesta Brightup Cleansing Lotion, my skin also felt slightly drier after using this, especially if I have to use a few more swipes of this to remove heavier makeup. Would I repurchase? Probably so – but mainly because I can find this on discount websites selling at about S$25 for the full 500ml, which makes this one of the cheapest cleansing waters I can find. It’s not exactly my favourite and its not the best makeup remover but it is convenient and cheap, perfect for lazy days where cleansing over the sink feels too much of a chore. For international buyers, you can get this from Amazon. *Products are 100% paid for by me. Affiliate links are used in this post. 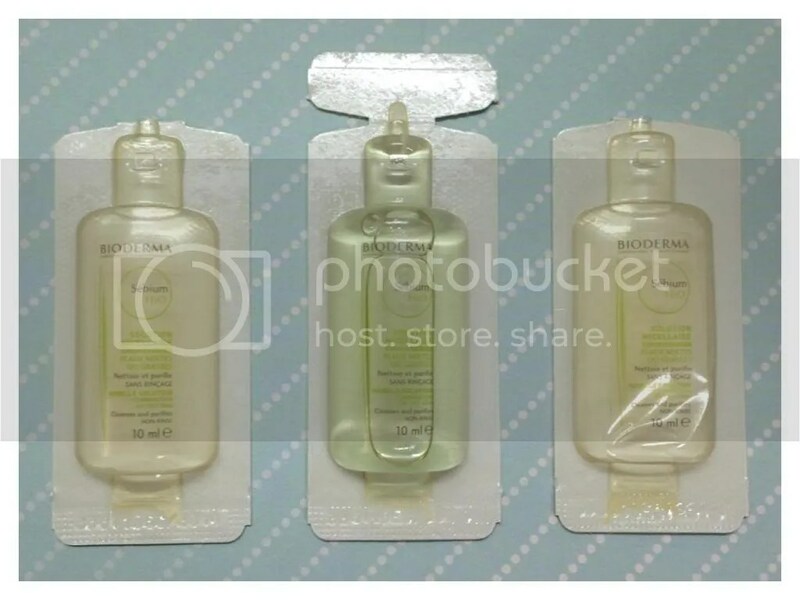 Wanted to do a quick review on these – the Bioderma Sebium H2O Solution Micellaire. I recently got this from a Sample Store haul and have been using regularly. 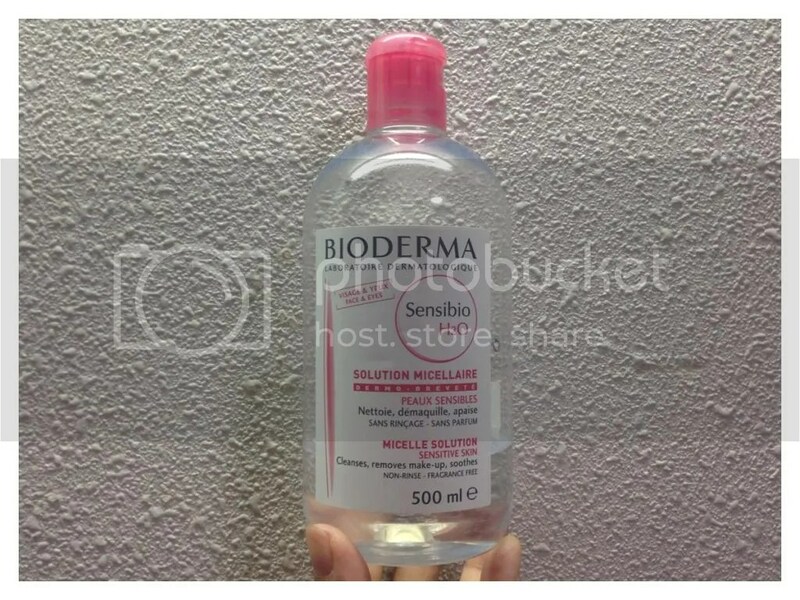 I’ve used the Bioderma Sensibio H2O Solution Micellaire for a while, and was curious to see if the Sebium version is any different. BIODERMA innovation, Sébium H2O gently cleanses the skin without drying it, through the micro-emulsion of impurities and excess sebum. Enriched with purifying active ingredients, Sébium H2O cleanses the epidermis in depth and regulates secretion of sebum. These originally comes in a large flip top transparent bottle, without a pump. Mine are samples so they look different. 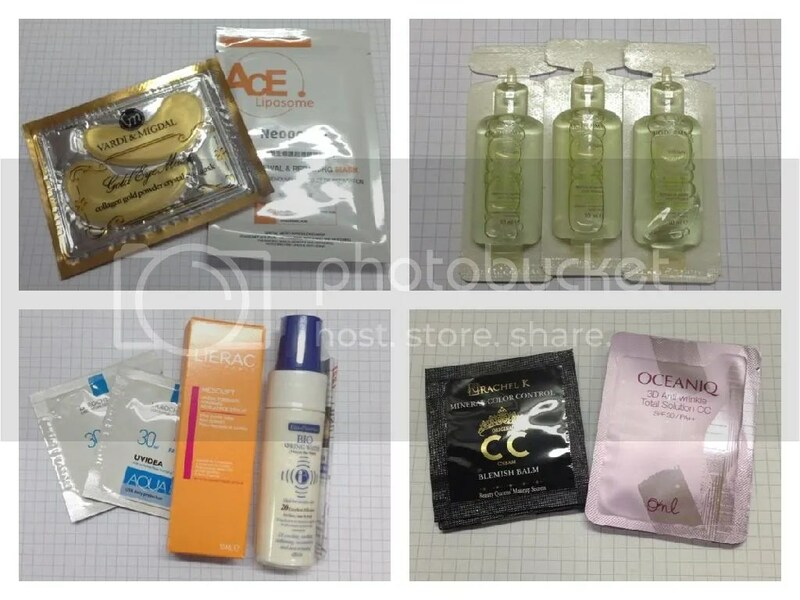 Honestly it would be great if it was sold in these sample packaging as they are so handy for travel! Unlike Sensibio version which is completely transparent and colorless, this Sebium range is also transparent but green-tinged. This also has a slight floral/fresh scent. The texture feels just like water. Like other micellaire waters, to use – I pour some on cotton pads and wipe it over my face. No rinsing is required and it doesn’t leave an oily film behind. In terms of efficacy, this is quite good; it removes face makeup easily without having to rub or tug on the skin. However, I find it difficult to remove eye makeup and needless to say terrible at removing waterproof mascara. The Sebium version is targeted for oily skin – I have dry skin so this was obviously not targeted to me but I thought how different could cleansing solutions be? Now I know – yes they can be very different. After using this, my skin felt dry and dehydrated. My skin does feel very clean but also very tight so I think oily skin ladies might really enjoy this. The price ranges quite a fair bit in Singapore – I’ve seen it selling for $29.90 in Guardian for the 250ml bottle, but it’s also regularly on sale. Would I repurchase? No, because this is not suitable for my skin type at all. I’ve reviewed other cleansing waters and they can be found here. I know it’s unfair to give this a low rating when it’s targeted at a different skin type all together, so I want to emphasize the rating is for Dry Skin – just in case any Dry Skin ladies out there is just as curious as me and wants to give it a go! 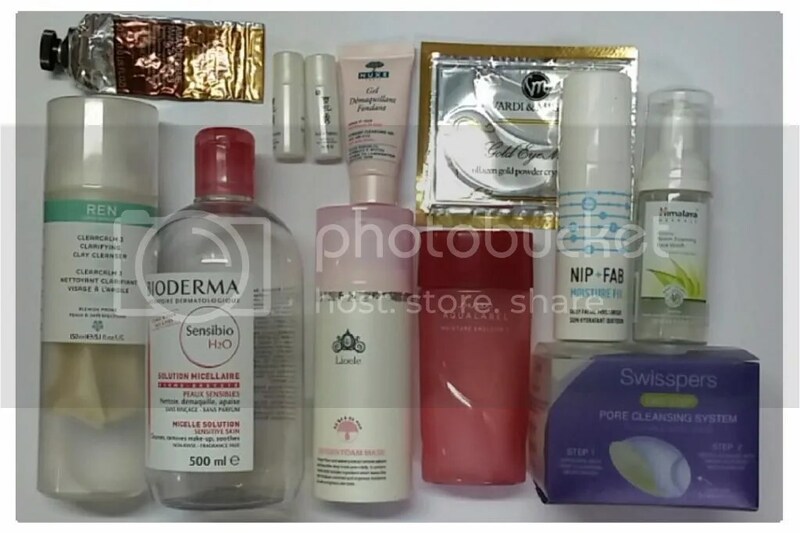 I saw a few interesting items on Sample Store recently and decided to pick them up; the items are free, but you do have to pay S$5.90 per checkout, which I think is quite expensive for shipping. But considering each checkout has a maximum of 4 items (and I mean types, so 5 foil packets of anything is considered 1 item), whereas beauty box subscriptions costs S$20 to S$25 for a box of 5-6 items, it seems quite reasonable in comparison. I got all of these with 2 S$5.90 checkouts, bringing it to S$11.80 in total. I honestly think its quite reasonable, and a great way to try out new items! 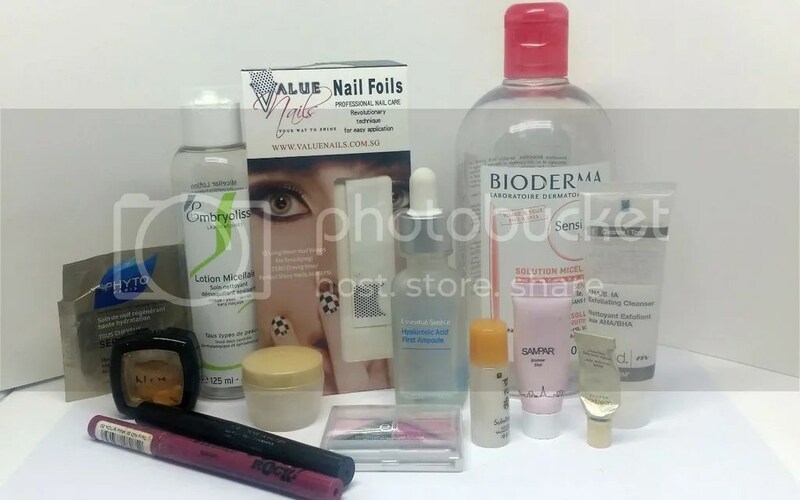 There are also some “sponsored samples” where checkout is totally free – but there are not a lot of them. 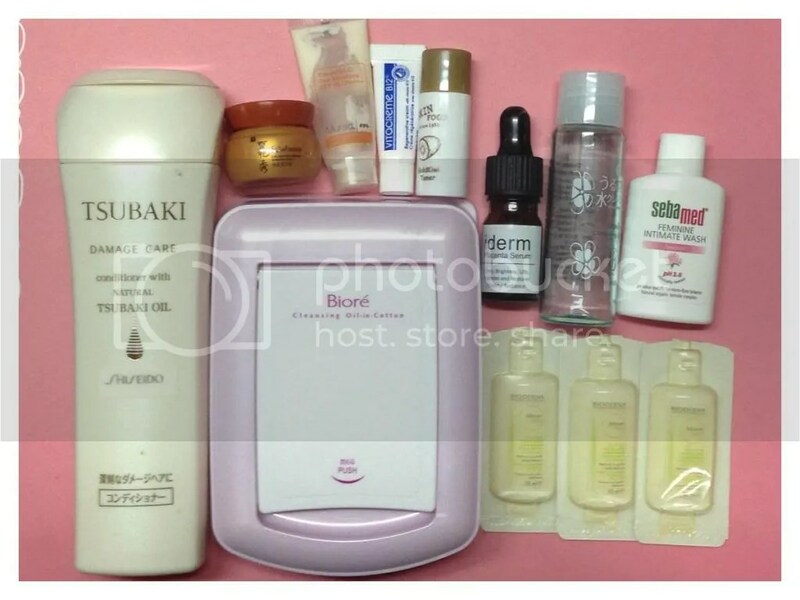 Granted, the brands may not be as high-end or unique as the beauty box subscriptions, but it also means that if you like the products, they are easily available and affordable to actually purchase the full size product! Win! My first empties post! I had a little weird sense of happiness as I wrote this; there’s just something great about completing a product, or dumping something out. 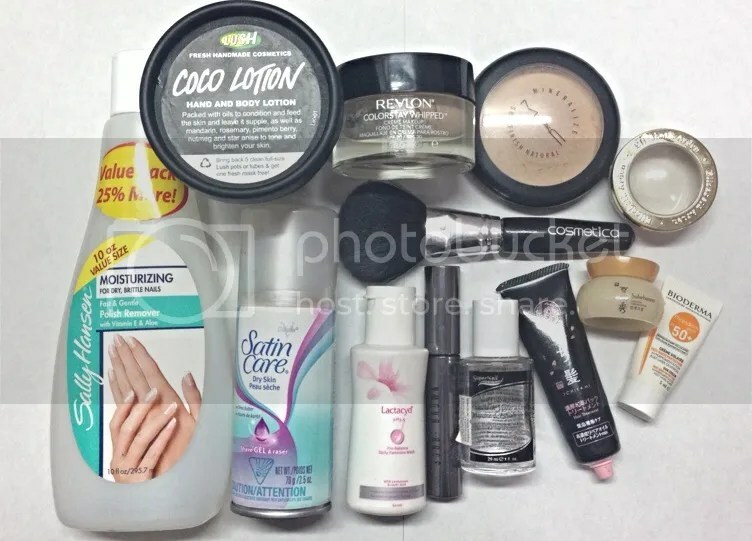 A quick little overview below on everything that I have used up; I think this should serve as a nice reminder for myself of what I have loved, and what I didn’t, when I have to replenish my beauty stock. I really do generally like Sally Hansen’s polish removers – I find that they remove polish effectively without really drying my hands. A couple of ladies products that I am sure nobody wants to read about. Or rather, I really don’t have that much thoughts on them. An overpriced body lotion; at 225g, this is a reasonably large bottle but as the expiry date was really short, I couldn’t finish it on time before it turned into a weird sour milk smelling gunk. It doesn’t have added fragrance, but does have a light natural scent that I cannot describe. It does quite a good job at moisturizing my really dry legs but at its price, I expect better and will not repurchase it. Thank goodness I got this in a sale for half price. One of my favourite foundations! It looks really natural on and has medium coverage; I don’t really need concealer except for really bad skin days. The downside is that I can feel it sitting on my skin, and it can sometimes feel a little too much under Singapore heat – and I have very dry skin so I can’t imagine what it’s like for oily skin! I am also not particularly a fan of the packaging. But, I still love how beautiful this makes my skin looks! Favourite powder! I have tons of powders but I find myself reaching back to this whenever I have a major event that I have to look flawless for. It never looks cake-y on my skin and sets my makeup beautifully. I have already bought a new one because I just don’t feel safe without it. In my over-200 count of makeup brushes, I have to say that this is the worst brush I have ever bought. It’s very scratchy, the hair never stops falling out, and the last straw came when the handle broke! I have other Manicare brushes, but the Cosmetica line is the worst. Will not purchase another. The supernail nail polish thinner was rather forgettable – somehow it managed to evaporate even though the cap was tightly screwed on, and I have barely used it a couple of times. The hair treatment was pretty good – I managed to get about 3 uses out of the sample size and my hair did feel really soft after each use; would probably purchase the full size to test it out further when I finish up my hoard of hair products. A rather thick cream that I slather on at night; despite its texture it sinks in rather quickly. I do like it and am quite obsessed with the signature ginseng smell of Sulwhasoo’s products. Not sure if I would repurchase this but I will definitely be checking out more of Sulwhasoo’s products! A pretty good sunscreen in my opinion; I love that it has SPF50 and it doesn’t clog my pores. It does feel a little thick and sticky on application, but my dry skin soaks it all up within a couple of minutes. My most loved serum/oil! I use this like a moisturising oil at night in place of a cream about once a week and I always wake up to freshly plumped skin with a beautiful glow. It is pretty expensive, but I have an endless supply of samples courtesy of Mum who is also obsessed with this; she buys the full size and asks for lots of samples for me. If my supply ever ends, I would gladly pay full price for it. I got this as part of a box set gifted by the bf. I’m not a big fan of this; I have a lot of rather long and dark lashes, and this doesn’t do anything for them. I wouldn’t call this “extreme” anything, but it’s ok for an everyday natural look. Definitely not for an extreme party. Won’t repurchase. I’m kind of in shock at this moment that I have managed to use up 13 products! Okay, I didn’t really use them all up in 1 month – I have tons of products that had only little remnants left in them and I just decided to start clearing them out. Have you used up any items this month too?